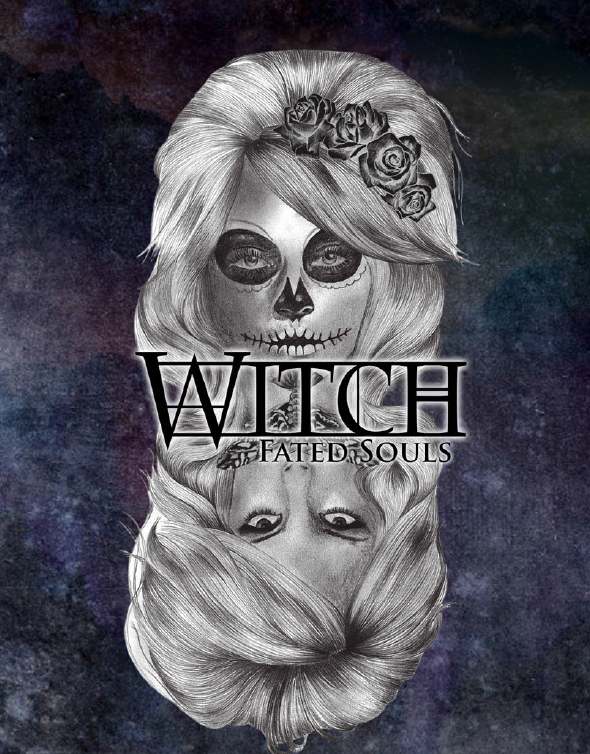 Witch: Fated Souls first popped onto my radar when Angry Hamster took it to Kickstarter. They wanted €4,500 and raised nearly €16,000 instead. A successful Kickstarter does not mean the resulting RPG will be any good. Let’s download a copy of Witch and take a look. From the outset it is clear this is an indie game. Witch uses a two column layout and integrates art when it can. Some of the art is top notch. Some of the art is simpler and repeats; skulls, ravens and other witchy symbols. There’s plenty of story text, we’re given character generation at the start of the book, magic and spells next, then mechanics, details on the setting and conclude with a GM Guide. It looks like an Indie game, not pulling any fancy layouts, but sticking to the basics and executing well. It reads like an Indie game by using the flavour text to bring to life the dark fantasy Elizabeth Chaipraditkul wanted to tell. This is good. This is what I expected from Angry Hamster Publishing and a game called Witch. I didn’t want too much gloss. I wanted a switched on, experienced, dark RPG. Witch reminds us that although the game can be full of adult themes the goal is have fun. GMs should enjoy the time with their players and the amount of violence or saucy scenes needs to be appropriate for the whole group. In a game of Witch the characters have traded their immortal souls to a demon in exchange for power. They’re doomed. Most games are about exploring that tiny, slender, ray of hope that may something positive will come out of the otherwise bleak fate. Witches are male or female. Rather nicely; why and how characters become witches are up to the players. One character might have been fated from birth to become a witch, being born into a family where the first daughter always develops powers, whereas another might have struck a bargain to gain power and a third accidentally stumbled into some old curse. The only catch is that that witch powers do not manifest until the character is an adult. The type of witch the character becomes depends on the type of demon they’ve struck a bargain with. Some of the witch “classes” won’t even consider their sponsor to be a demon but the others know better. There’s the Djinn, drawn to grant wishes and very loyal, but who have traded their soul to the huge entity known as “The Quiet” that lives between planes. There are two types of Druids, warriors who have struck deals with spirits of animals or blood. The Heks are versatile and friendly but have agreed their deal with cruel devils. The Lich are immortal, their heart stored insecurely in a phylactery and deal reached with a Preta demon. The Seers are newly returned to the world, escaped from the underword and associated with the Amit demons in exchange for the power of foresight. 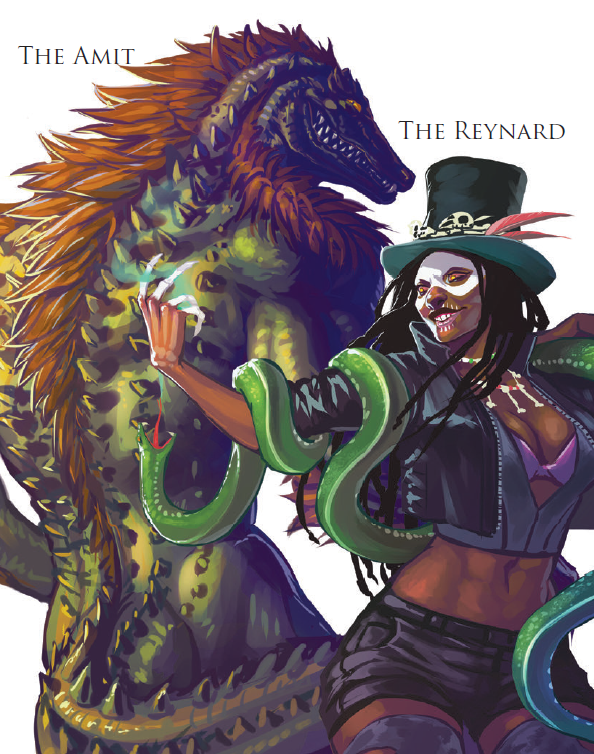 There are Sosye tricketers, fond of their jokes and able to wield necromantic magic and who work Otherworld entities known as the Reynard. Lastly, there are the Yokai, shapeshifters who struck their pact with the Oni. Each type of Witch has access to different spells and individual witches tend to have different talents. 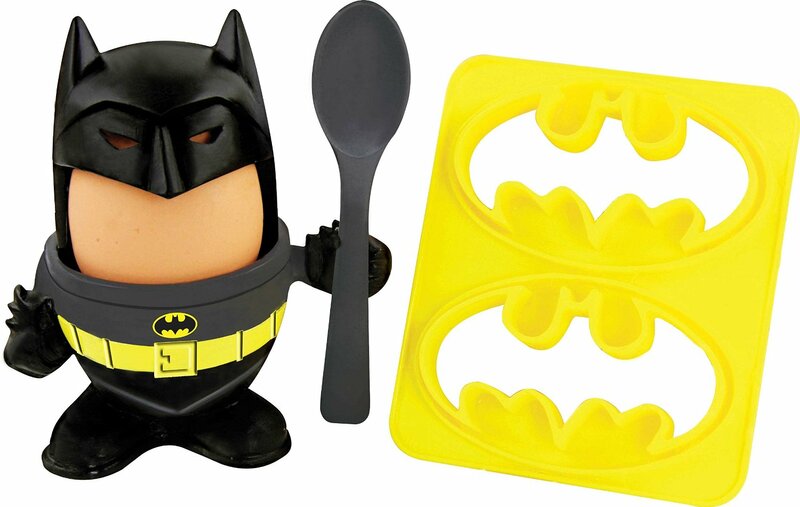 The resulting combinations create for a varied level of power and scope. It’s easy to see why covens of witches are a thing. It’s not just someone else who understands the situation you’re in; it’s having access to someone else who might help. The mechanics are straight forward; adding attributes to the right skills and spending experience points to improve them. XP can also be spent on improving talents, learning spells but not for Pursuits. Pursuits represent the life the witch leads; how rich she is, or well connected, for example, and are only improved through roleplaying. What I would have liked to seen from Witch is even more on external threats. I know the game is about coping, perhaps trying to do good, with the situation but text on the Otherworld, witch hunters and more ways in which the creatures in the bestiary might get involved in the game would have been fun. Overall? Do you buy indie RPGs? Buy this one!